In 1999, two other companies inspired by tradition joined the SSM Group. Stähle-Eltex GmbH and SSM merged to develop air texturing technology and to strengthen their leadership position in the marketplace. And with HACOBA as partner, SSM is able to offer a complete range of sewing thread finishing machines. 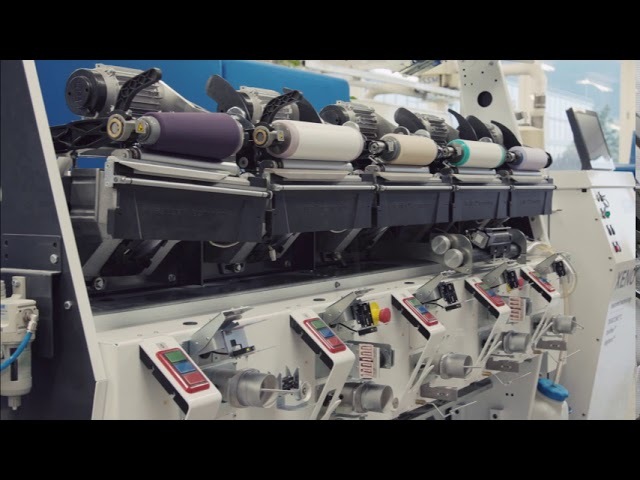 Practically SSM can offer a complete portfolio to process yarns. As of 1st February 2012 SSM Schärer Schweiter Mettler AG, Horgen, Switzerland has taken over the activities of Giudici S.p.A., Galbiate (LC), Italy. Giudici’s strong market position in the field of false-twist texturing of high quality fine count Nylon yarns, an application that complements SSM’s established leadership in air texturing, will further expand SSM’s business in the chemical fibre processing industry. With such a rich experience in building textile machinery, SSM has learnt to understand the customer needs, and to adapt to the changes in the industry, concentrating mostly on market driven developments. Although people, markets, technologies and fashion are subject to continuous change, at the center of SSM activities is the endeavor to deliver top products and best solutions for any new demand: that’s why SSM customers can rely on a worldwide service network. Thanks to commitment to technological innovation, focused on cooperation with best partners in the field and with industry leaders, nowadays SSM is recognized as innovative leader in Yarn Processing and Winding – Swiss developer, leader and holder of the patents in electronic yarn guiding systems. We are proud to serve the most acclaimed and successful companies in all our areas of activities.